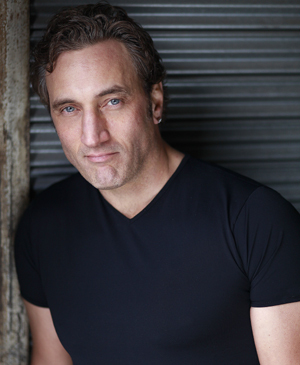 Bernard Robichaud is an a man of many talents from writing, acting to stand up comedy. 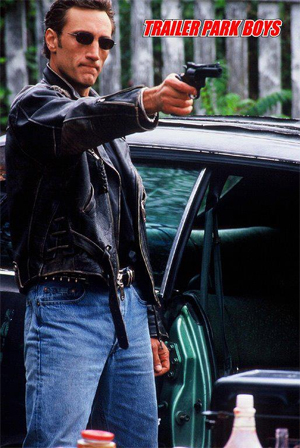 He is mainly known for his role of Cyrus in the hit TV Show/Movies “The Trailer Park Boys” and will be reprising his role in the upcoming third feature film. Bernard also has a recurring role of the SyFy show, “Haven”. Bernard recently discussed these projects and more with us. Mandy: You’ve been busy, working on several projects, including another Trailer Park Boys feature, what can you tell us about that and what role Cyrus will play in that? Bernard: The new Trailer Park Boys feature I can’t disclose any info on that, we don’t start filming until mid march, but my role will be the same as always, cause trouble for the boys or them me. Mandy: You also have been working on the SyFy show Haven, in the recurring role of Kirk, how has the experience of filming been? Bernard: Working on Haven has been a wonderful experience. I’ve been very fortunate to work with very giving actors and an equally giving crew. I hope the character continues of course but only time will tell. Mandy: You are filming a role on the HBO Canada show Don’t Call Me Fitz, as an American, I have to be honest, I’m unfamiliar with the show, can you explain the show and what your role will be in it? Bernard: Call Me Fitz is a dramedy about a salesman who is morally bankrupt, played by Jason Priestly, who becomes partners with his inner self, to become and or make Fitz a better person, all be it one disaster after another. My role I can’t talk about at the moment. It is a principal but non recurring character in the half hour show. Again a question for perhaps next year? Mandy: Your screenplay, Kitchen Sports is set to start filming next year, how is that coming along? Bernard: At present Kitchen Sports is looking for another producer, after much consideration I concluded that the direction it was taking wasn’t the one I had intended and I went back to the drawing board and gained some insight from some close friends on what was truly missing, rewrote the screenplay to reflect what I had originally intended, and I recently completed the newest draft. In my opinion it’s better than it’s ever been. Mandy: Do you prefer writing or acting? Bernard: I’m not sure I prefer either writing or acting, they both serve a purpose in my life and my growth as an actor and being, I hope that nothing prevents me from doing either. Mandy: Are you currently writing anything else? Bernard: At present I have another screenplay I’m working on, yes, Woman Scorned, I won’t be telling you anything about it at the present time, perhaps it’s for a later interview with a question about Trailer Park Boys 3? LOL I am always writing and tweaking my Cyrus Show, it continues to evolve, I guess that’s what comedy does. Mandy: Any interest in directing in the future? Bernard: You know I guess if the right project came along I would certainly like to try my hand at directing, I guess my only fear would be whether I have the ability to be understanding enough for each actor and my crew and their needs, and whether I have the tolerance or the patients to be a good Director. I know I can act because when I asked to do something, I interpret and do it. I guess unless I had the opportunity I may never know the answer as far as Directing is concerned. Mandy: You’ve toured doing stand up, any plans for more tours in the future? What or who inspires your comedy? Bernard: I will continue to tour with the Cyrus Show, Who Needs Grade 10? I’m A Public Speecher. I’m out in Western Canada in Feb. 2013, there is talk now about a tour in the USA for April and May, venues will be announced in the near future, and I’ve been contacted recently by a promoter in Germany to do the UK and selected European countries. Mandy: What would your dream project be? Bernard: My dream job, would love to play Stanley Kowalski on screen, play a role in a remake of On The Waterfront, something like that. Mandy: Any other projects that you are working on that you can share with us? Bernard: Nothing more to report at the moment, some projects and ideas circulating in space, but nothing confirmed as yet and I don’t like jinxing myself with talk of maybes, or possibilities. Keep in touch and I’ll keep you posted, how’s that sound? You can find links to all of Bernard Robichaud’s websites and social networks here.